It is time for adults living in the Sunshine State to get the real facts about HGH therapy in Florida from doctors specializing in hormone replacement therapy for men and women 30 and over. You live here for many reasons, including the fact that you can enjoy a laid-back outdoors lifestyle year round. No worries about being snowed in during the winter. In fact, you can put on your favorite pair of shorts in February when everyone else is bundled up – unless, of course, you are dealing with growth hormone deficiency. GH decline can leave you sensitive to the slightest temperature changes. You could put on weight, feel fatigued, and not remember all the fun things you like to do all year long. That is why finding the right clinic to provide you with superior growth hormone therapy in Florida is vital at this point in your life. At any time from the age of 30 forward, you could find yourself dealing with symptoms associated with low growth hormone levels. The older you get, the greater the chance of this occurring. With so many retirees living throughout Florida, the need for HRT clinics has never been more important. Local HGH Clinics are the ones in your town. This is where you can make an appointment to go in and meet with the hormone replacement doctor in person. You can expect an initial, supplemental, and follow-up appointments throughout your treatment period. Of course, there is typically an extra cost involved with these office visits, but for people who want that one to one face time, this is an excellent option. Not everyone wants or needs to go to a hormone replacement center to receive human growth hormone therapy. Some people value their privacy, time, or dollars to the point where they prefer other options. A national HGH Clinic may be the better choice. Here, consultations take place over the telephone, offering a higher degree of privacy at a lower cost. No time off from work is necessary to drive to and sit waiting in the doctor’s office. 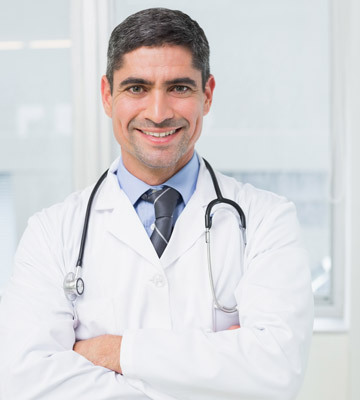 Because hormone replacement is all we do here at Kingsberg Medical, our HRT specialists have more experience than many local doctors who also offer other types of treatments in their offices. It is certainly nice to know that there are options for everyone looking for doctor prescribed HGH treatment. Florida residents can get the help they need in whatever way works best for their needs. Is my schedule so packed that I do not know where I will find time to visit a doctor? Am I concerned about other people seeing me enter or leave the clinic and asking me questions about why I am there? Do I want to avoid doctors who might try to push me into other treatments as well? Do I want a doctor who only focuses on hormone replacement therapy, and not plastic surgery or other areas of medicine? Do I want the widest array of treatment options at the most affordable prices? If you answered yes to all of these questions, a national HGH therapy clinic is probably your best choice. Your consultations will be over the phone and completely confidential, with no risk of running into someone you know. Since all medications come from licensed US pharmacies, you have a wider selection to choose from than doctors who keep only a few options in their office. Do I want to be able to make an appointment and physically sit down with my doctor to discuss my situation? Will I need someone to personally help me give my first shot to myself? Am I ok with the extra time and money for local office visits? If you answered yes to these questions, you might be better off visiting a local HGH clinic. Although Kingsberg Medical is a national clinic, we can help guide you to an experienced hormone replacement specialist near you. One thing you should never concern yourself with is the administration of your HGH shots. We have many easy to use options, and help you every step of the way through detailed instructions, online videos, and even having an advisor walk you through your first HGH injection over the phone. For the best HGH therapy, Florida residents can turn to Kingsberg Medical for free, confidential consultations and superior, affordable treatment options.